As the Middle East’s first and only home-grown technology platform, Mawarid Technology is charting new and exciting waters for Dubai, the UAE and the region. Recognising the importance of constant innovation, Mawarid Technology is the latest testament of our and the country’s commitment to staying relevant in this era of technological integration. Mawarid Technology joins Mawarid Finance’s diversified portfolio of established companies, which provide services across Islamic finance and banking, financial intermediary, insurance and healthcare facilities’ operations. In our highly interconnected world, governments, enterprises and large businesses across the MENA region are realising that there is a real need for centralised software and hardware services that can address technology, security and infrastructure challenges. 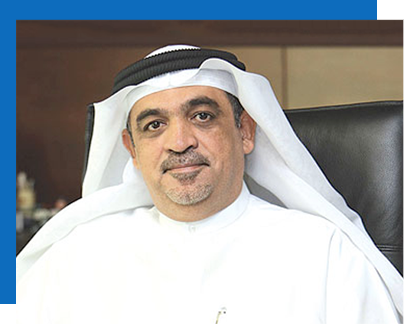 With over 150 years of combined managerial experience and the integrated services of [three] well-established enterprises: TACME, Falcon Eye and QuickNet, Mawarid Technology is uniquely placed to provide an unprecedented range of technological capabilities that can address these challenges and lead the way in digital and smart government services. With mega-events such as Expo 2020 Dubai and the Qatar 2022 FIFA World Cup just around the corner, policymakers and businesses are looking to smart government initiatives and integrated technology platforms to address many of the unique challenges we face on a daily basis. The ICT sector is proving an increasingly important pillar of National Visions across the region, and support from governments has never been stronger. We are confident that Mawarid Technology will leverage its expertise and strategy to influence significantly the region’s business ecosystem, innovation and growth. As we redefine the evolution of the region’s ICT sector and focus on fast-growth sectors, our vision will be guided by our commitment to creating meaningful value for our shareholders and stakeholders and strengthening the UAE’s position as a global technology hub.